It contains very tough picture puzzles. These tough picture puzzles for genius people who have great visual brain power. Solving these picture puzzles will help you to improve your observation skills. 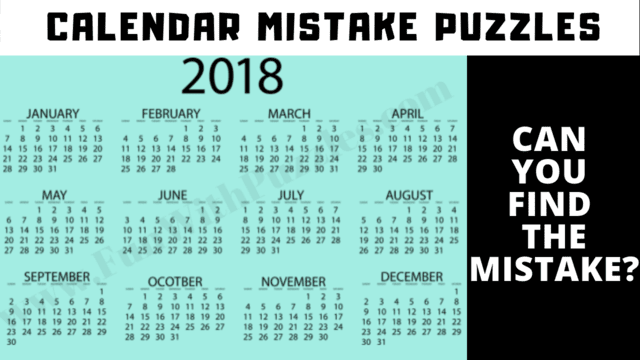 In these picture puzzles, you will be shown the calendar of the year 2018. 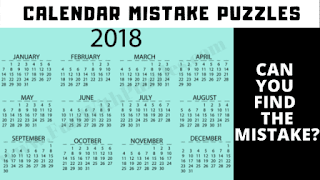 There is something wrong in each of the calendar pictures. Can you spot what's wrong in these pictures? Consider yourself a genius in case you are able to solve 3 out of given 5 picture puzzles in this puzzle video! Check Out Can you find the Mistakes?